The cutest three amigos you’ll ever see. 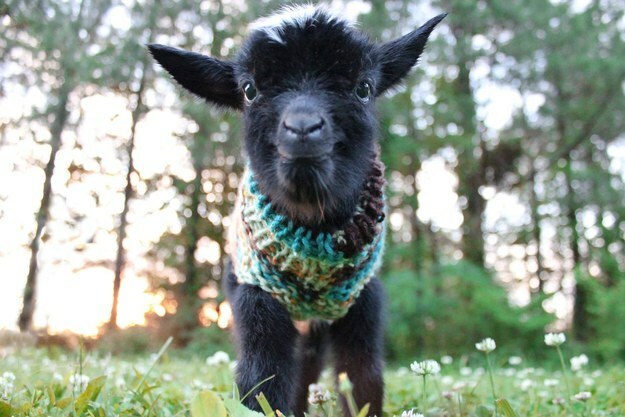 Ladies and gentlemen, presenting the most squee-worthy thing of all time: BABY GOATS IN TINY SWEATERS. The Denmans Critters farm is the place to BE on chilly mornings. The Three Amigos: Goats, coming soon to a basket near you.